A new WWII historical fiction novel featuring the P-51 Mustang and a cast of characters you won't believe. 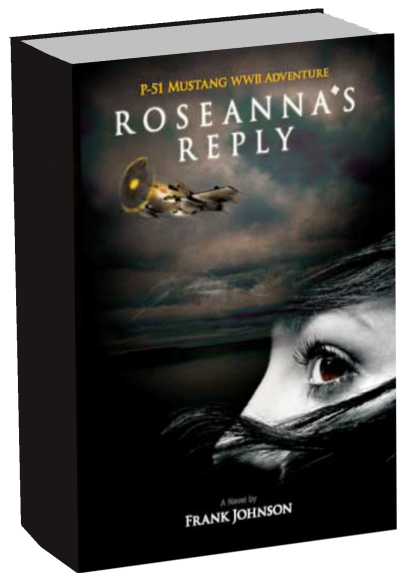 Roseanna’s Reply is a sweeping wartime saga that defies traditional story lines of the past. Welcome to the author's website! Roseanna’s Reply is a big story set in a time that many consider America’s finest hour. Unfortunately, the first hand memories of that time are rapidly fading away. This book brings those days back to life in a way that is interesting, exciting and accurate. Historical fiction? Aviation history? Murder mystery? Love story? You decide. "Reading Rosanna's Reply is like taking a drink out of a fire hydrant." New hardback collector's edition 511 pages.